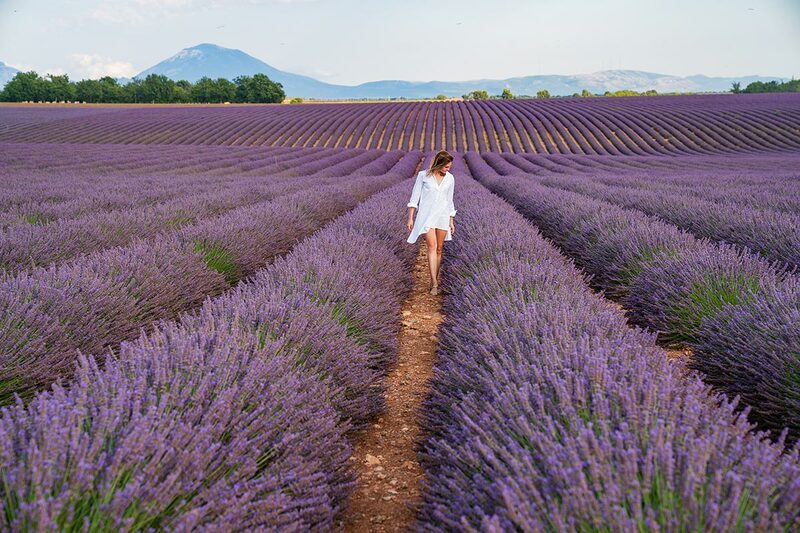 When my Instagram feed started to get filled up with photos of dreamy purple lavender fields in Provence, with the most breathtaking shots captured during the magical golden hours at sunrise or sunset, I knew it was time to start planning a road trip following a lavender route – and quite urgently, because it doesn’t take long before the farmers start to harvest the lavender from the fields and most of the flowers end up sold as bouquets or bottled fragrances in shops. 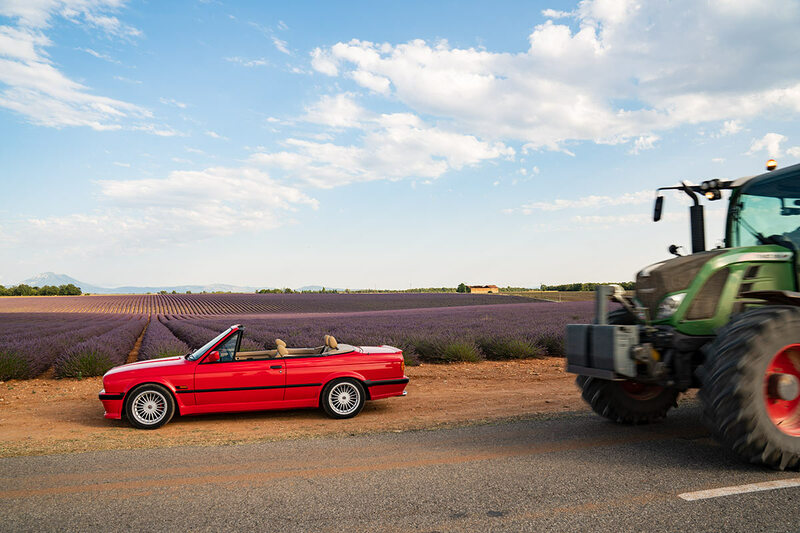 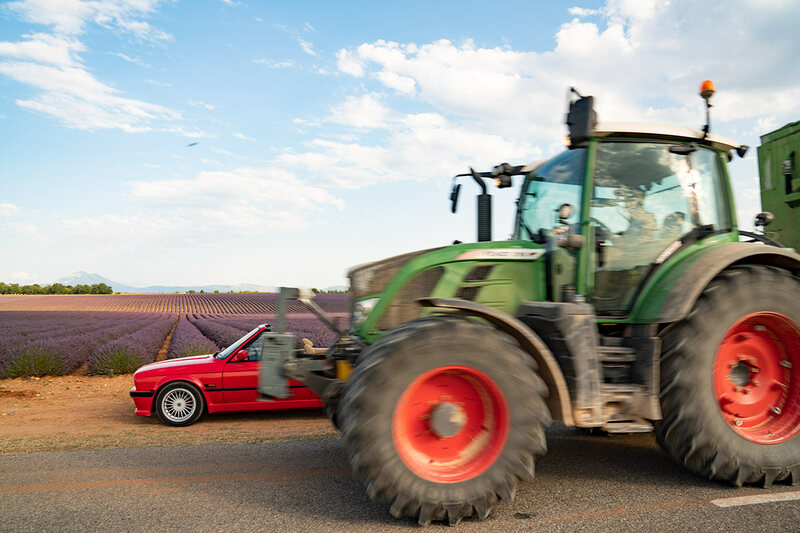 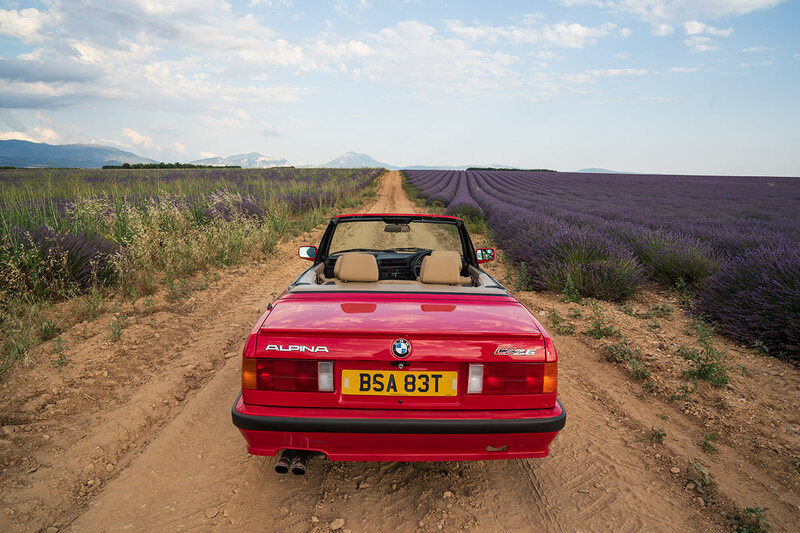 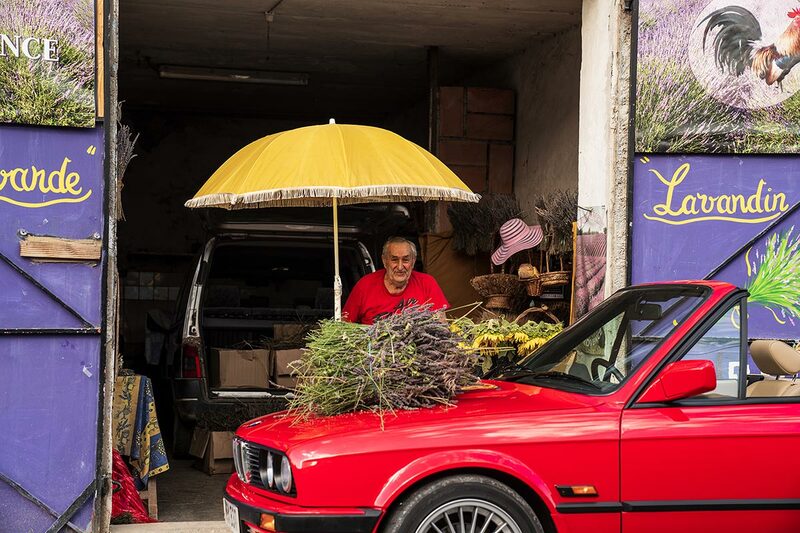 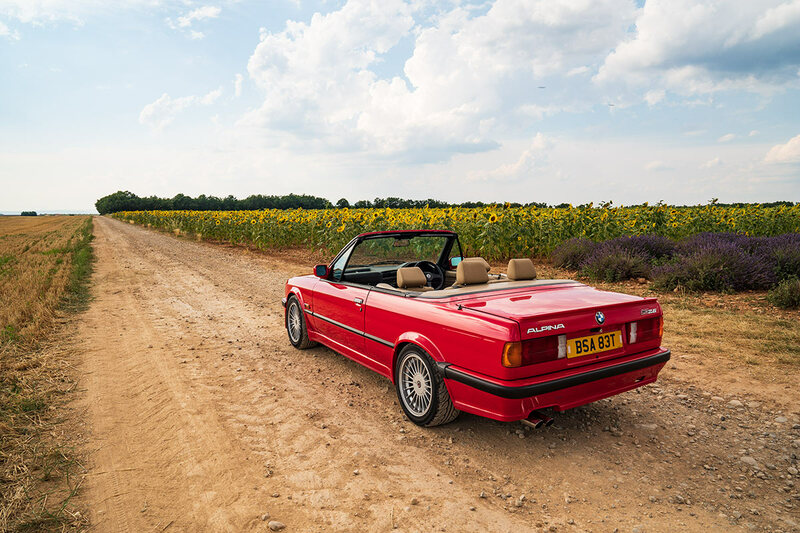 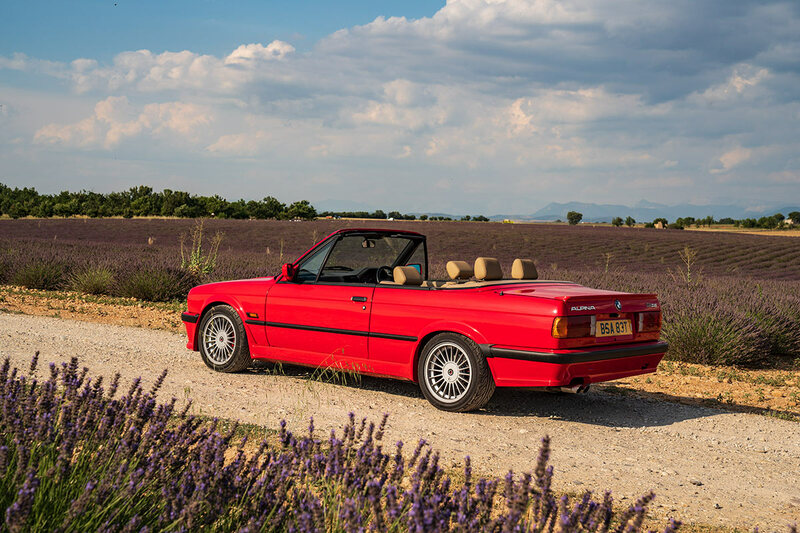 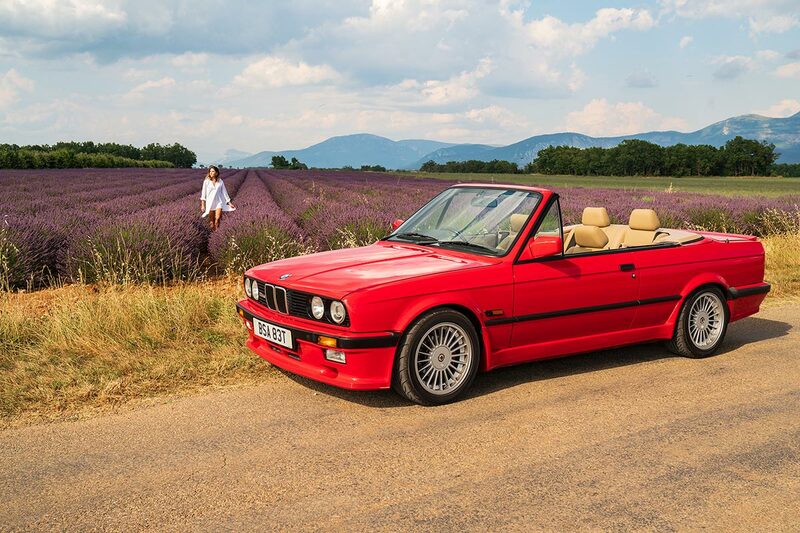 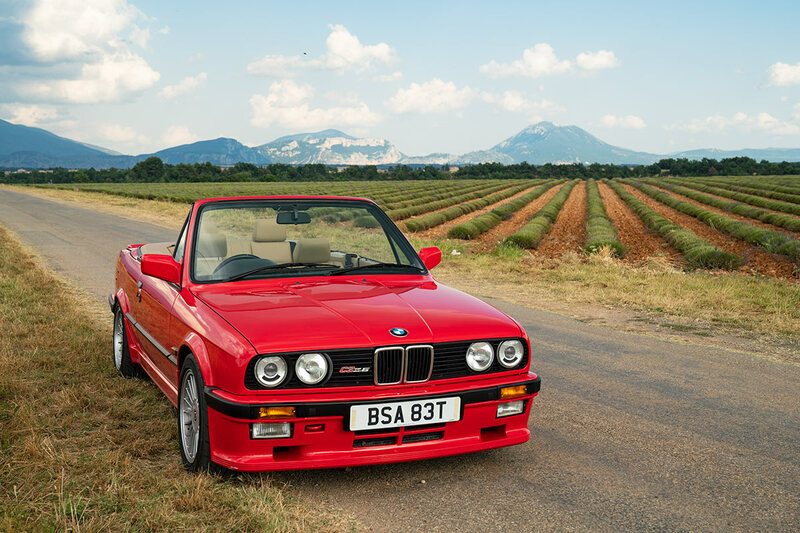 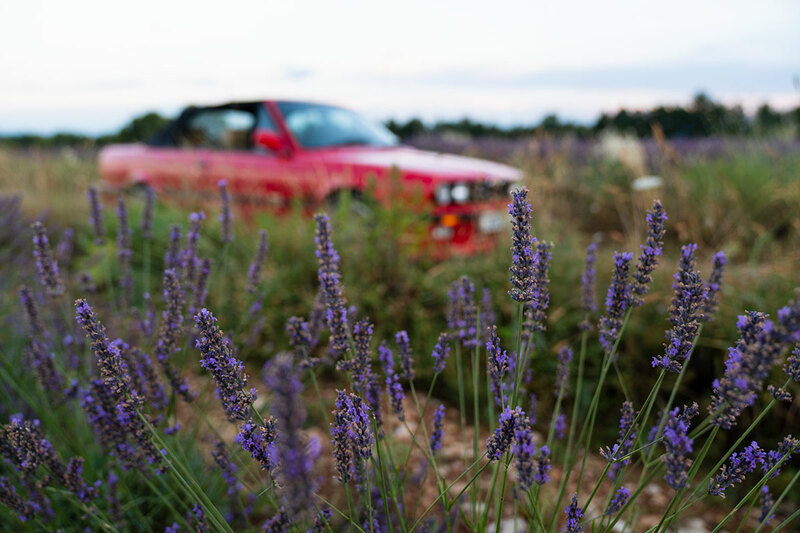 The BMW Alpina E30 C2 2.5 Convertible seemed like the most suitable choice for those landscapes, and so we packed our bags and hit the road towards lavender country, all around Verdon in Provence, and quite likely the most photographed lavender ‘plateau’ in the world – the Valensole Plateau. 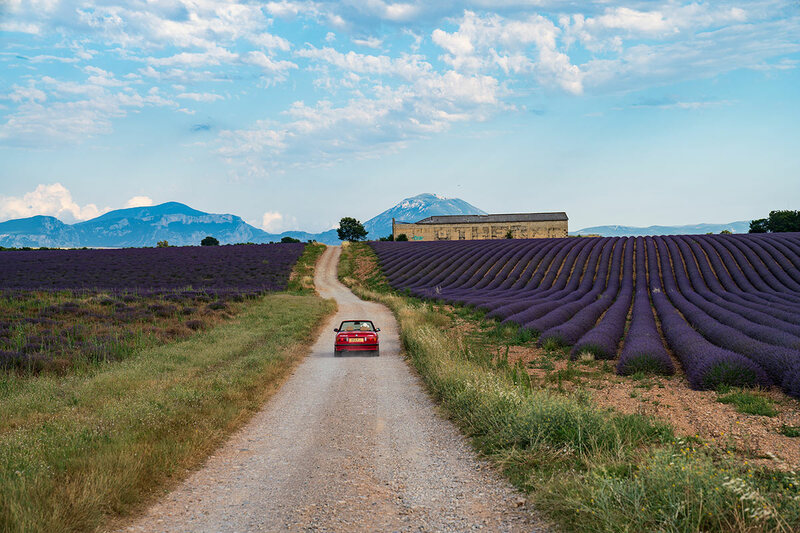 On our route testing drives and supercar tours in Provence we’ve seen the lavender fields in different locations, and different colours, depending on what time of the year we’ve been passing by. 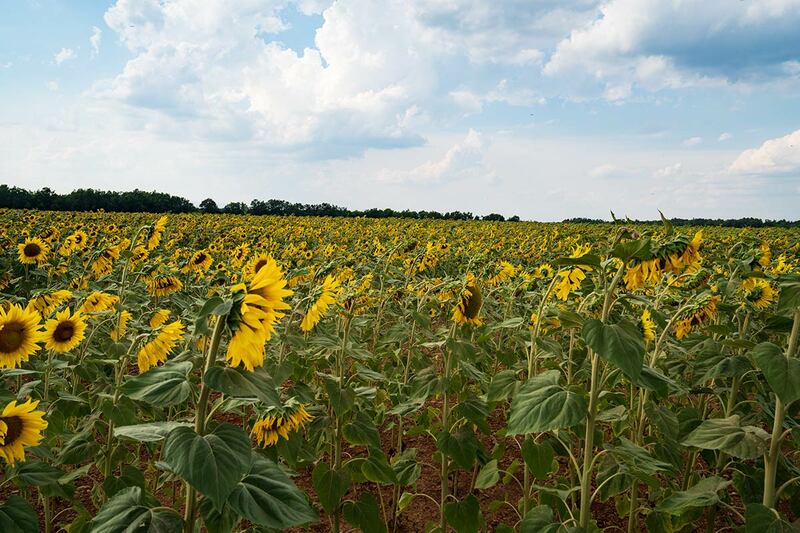 In late March we drove past brown fields that showed a hint of what to expect later in the year. 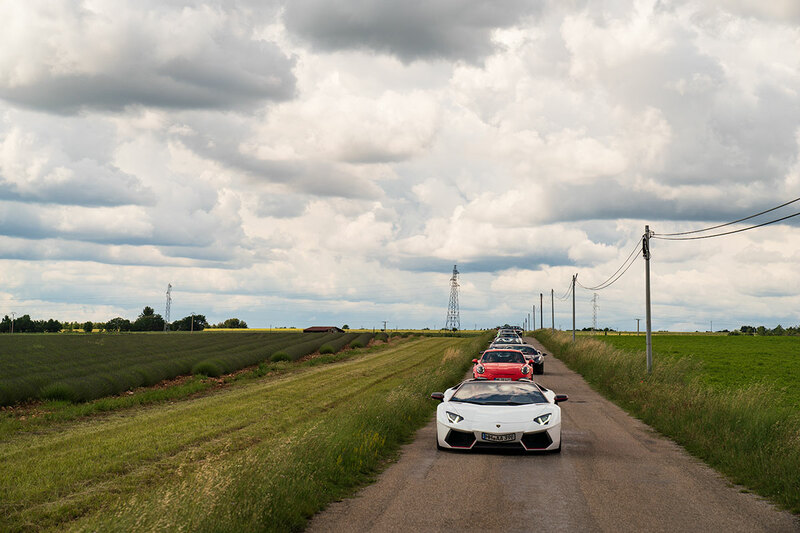 In mid-June we returned again on a Colcorsa corporate tour with 7 supercars, now to see that the fields had turned from brown to green with that occasional pale shade of purple starting to push through the green, suggesting that the flowering season was fast approaching – but still not there yet. 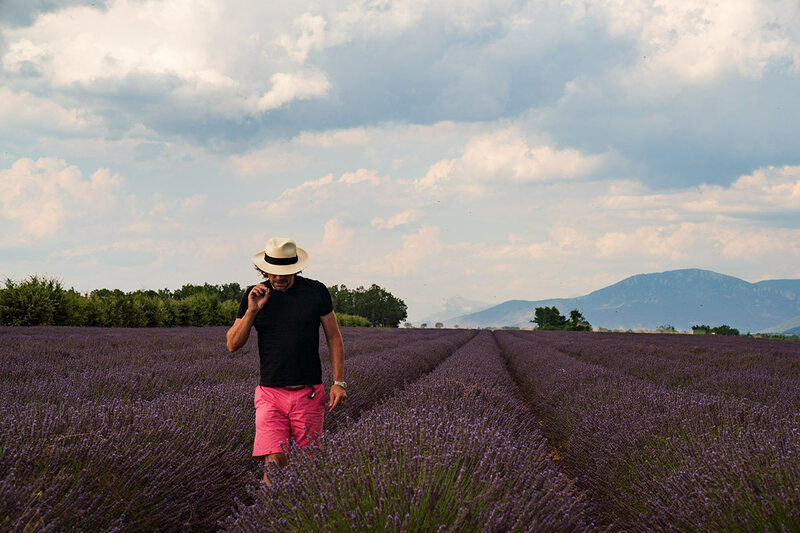 And by the time it got to early July everything was in flower and Provence seemed to have become this magical purple paradise – filled with tourists, of course. 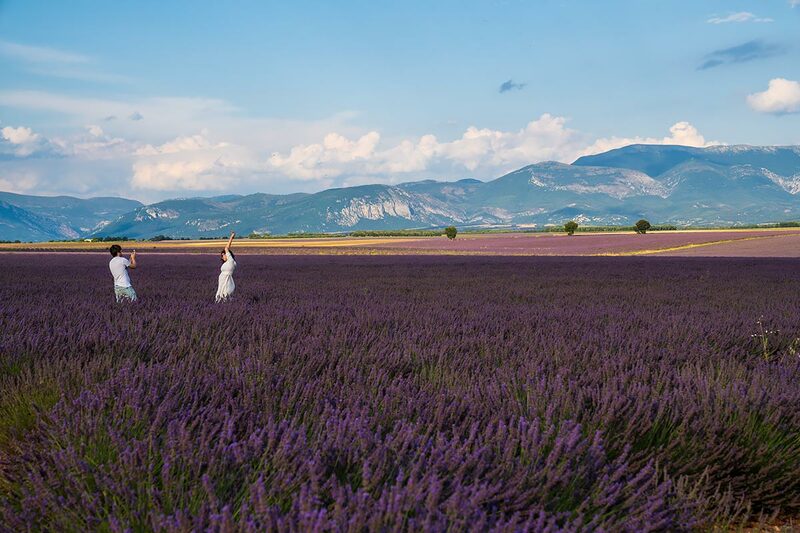 Dancing out in the field in a white dress seemed like a perfectly normal thing to do because you look to your right, and to your left, and there is a lady in a white dress everywhere. 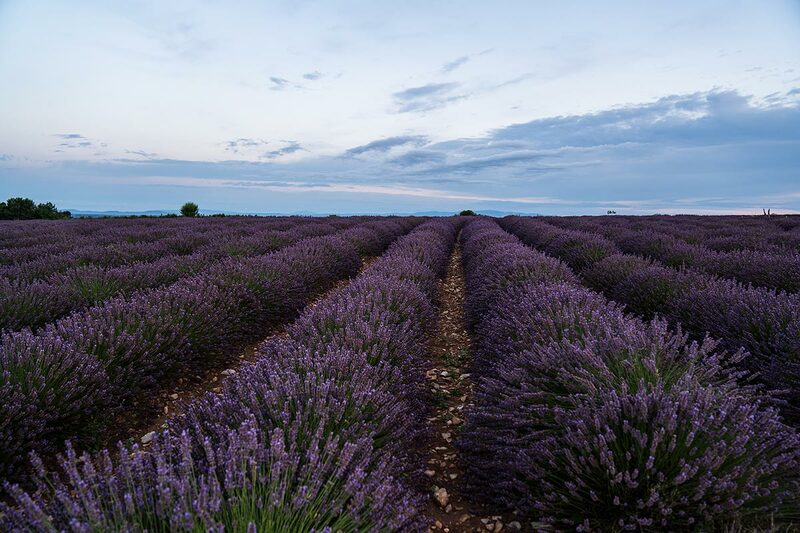 I reckon the best time to go – for the most vibrant colours – is in early July or mid-July, because once it gets to the end of July you will see more activity in the fields as the farmers start collecting the lavender, or where the fields have been left untouched the flowers will be starting to dry out. 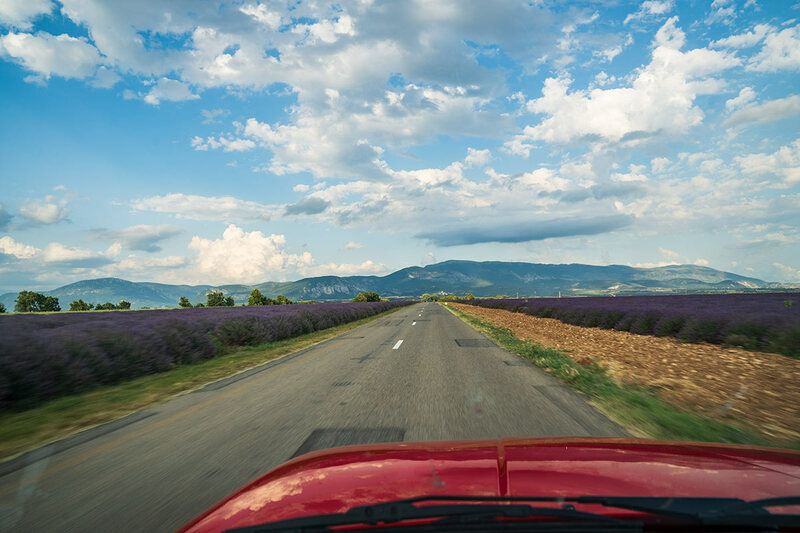 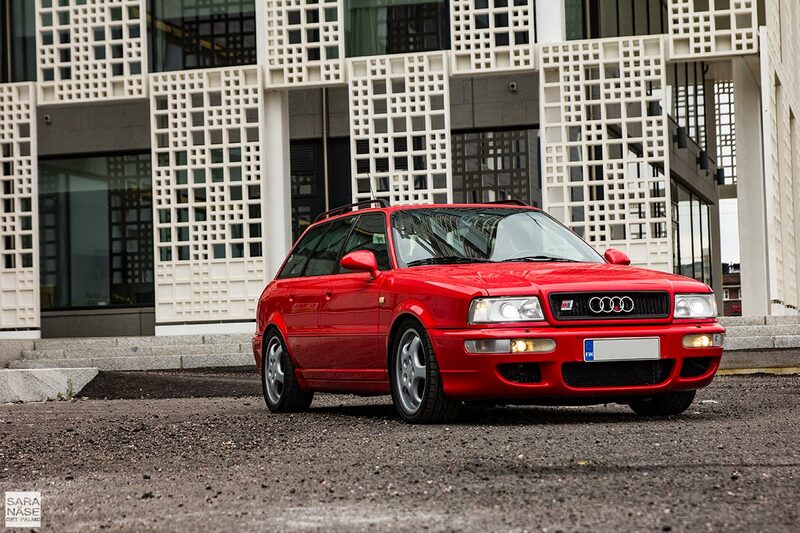 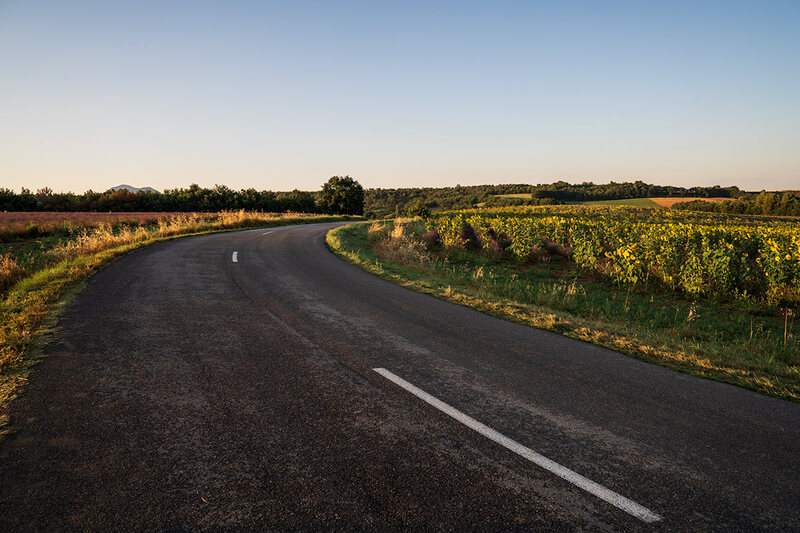 The sweeping roads take you on a colourful journey past lavender and sunflower fields, and in the air is a perfume of lavender, so strong that you can almost taste it. 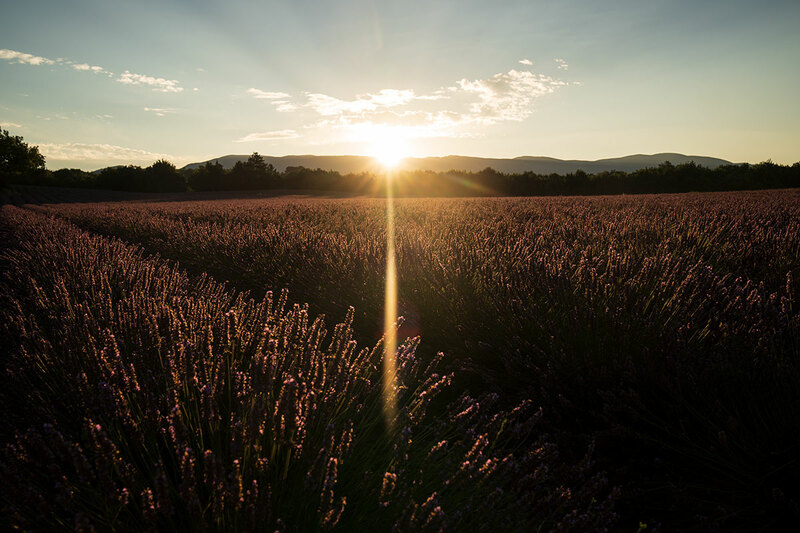 After having stayed a night in Moustiers-Sainte-Marie we woke up before dawn to catch the sunrise. 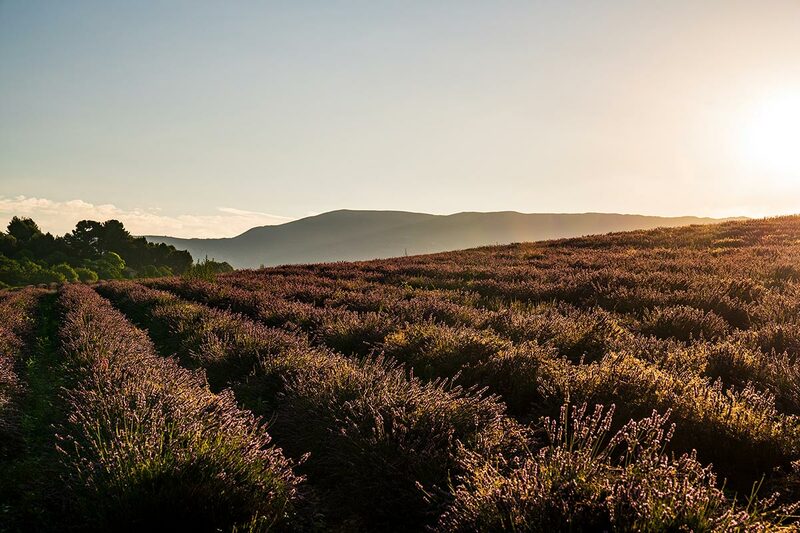 Half asleep we sat for what felt like an hour in the C2, staring behind the mountains to get a glimpse of a rising sun, waiting for what they call the ‘golden hour’ when the purple turns into fields of gold. 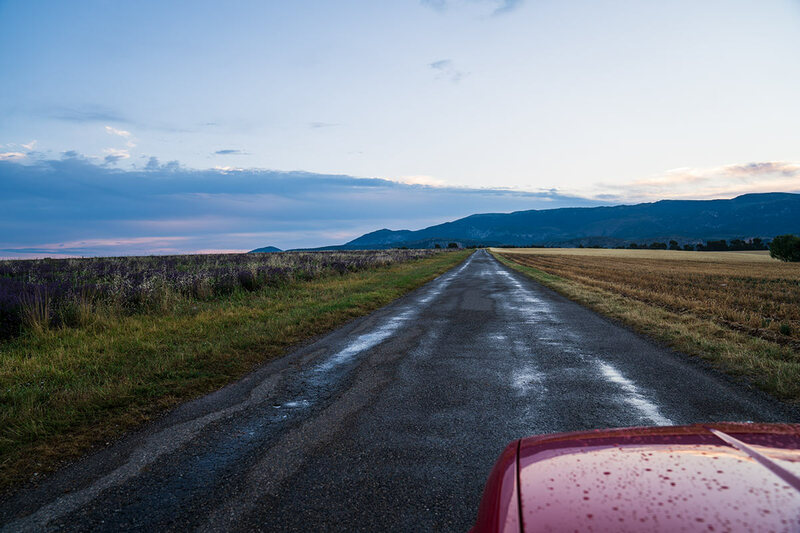 Just when the tiredness hit really hard, and it felt more tempting to return to the bed, we found the perfect place to experience the sunrise from – and it was just as magical as I imagined, as I stood there in a silent landscape surrounded by the sound of humming bees waking up to a new day, with no other cars, or people. 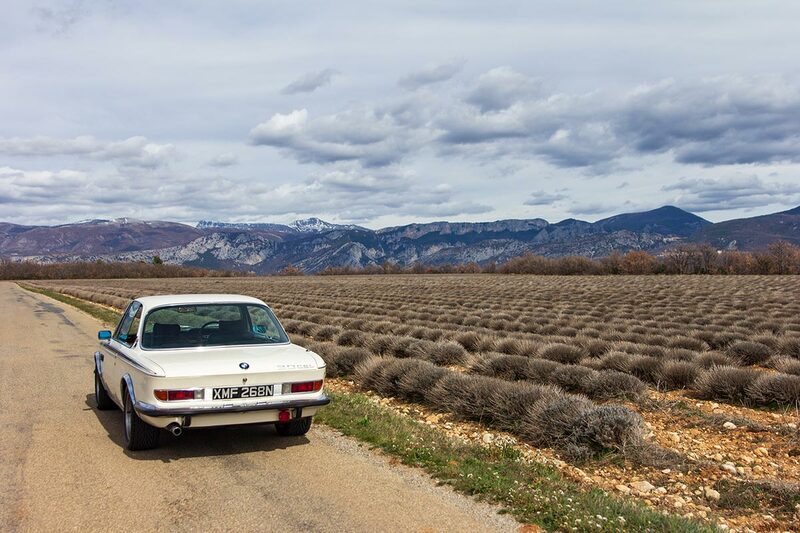 It was serene. 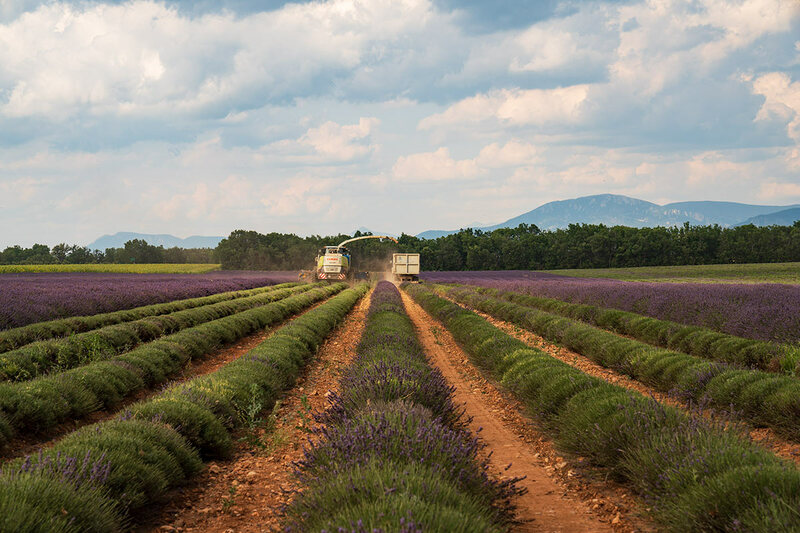 We might have been a little late scheduling our lavender road trip for late July – or so we thought struggling to navigate to the ‘postcard lavender fields’, until a kind man named Gilbert Gouin, selling lavender from a roadside garage in Valensole, drew us a map of the lavender route and guided us where to drive for the best photo spots. 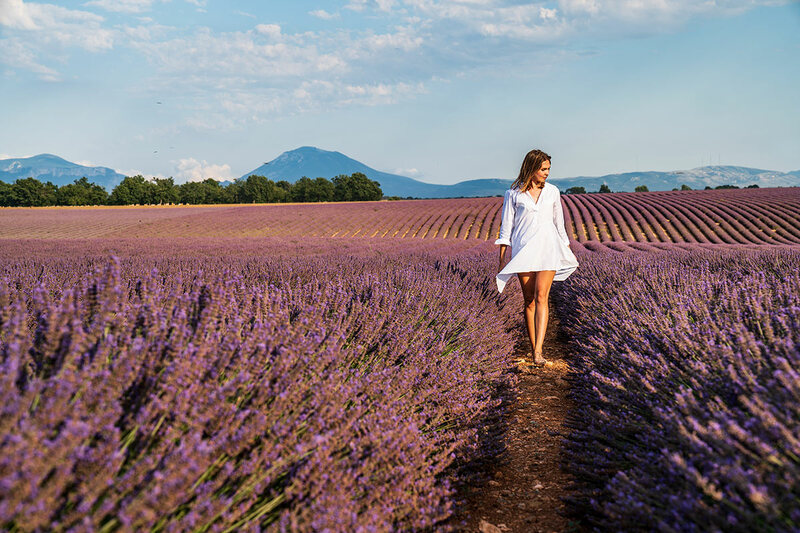 With our arms full of lavender bouquets we followed a hand-drawn map of a lavender route, to the most picture perfect lavender plateaus you can imagine, still a bit overwhelmed by the kindness we just experienced in a small French village. 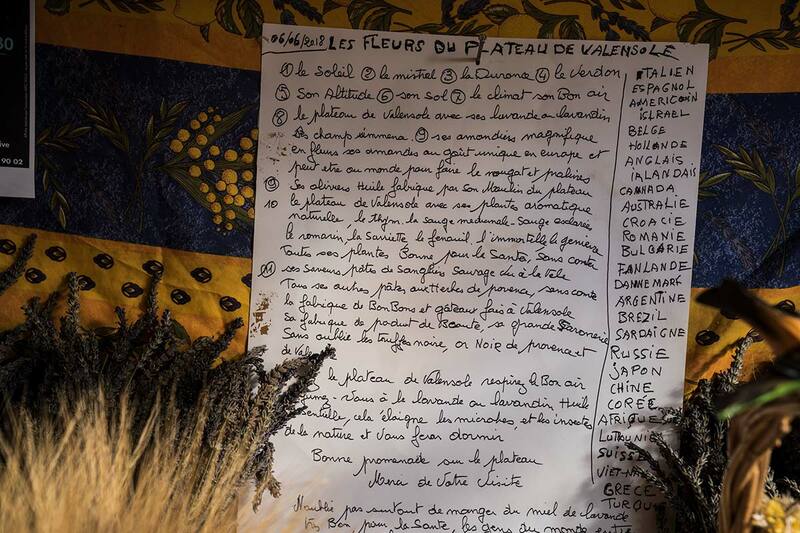 I might not speak French, but luckily a smile, a ‘thank you’ and a hug is international. 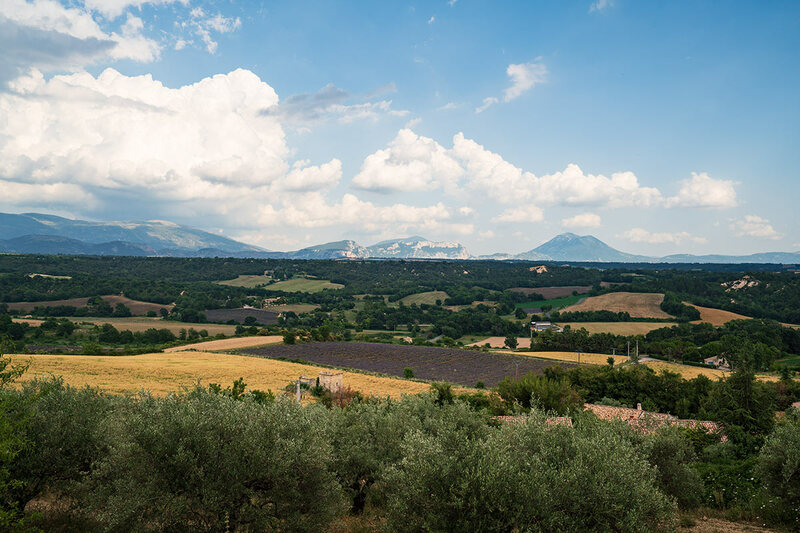 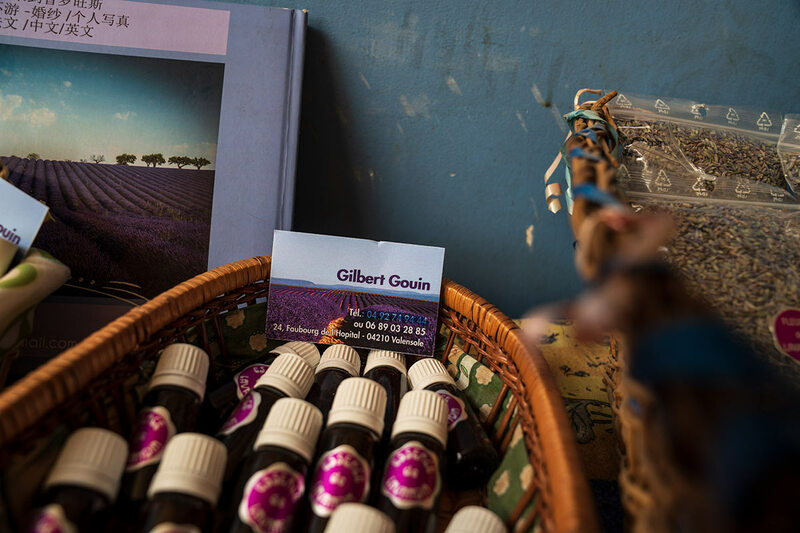 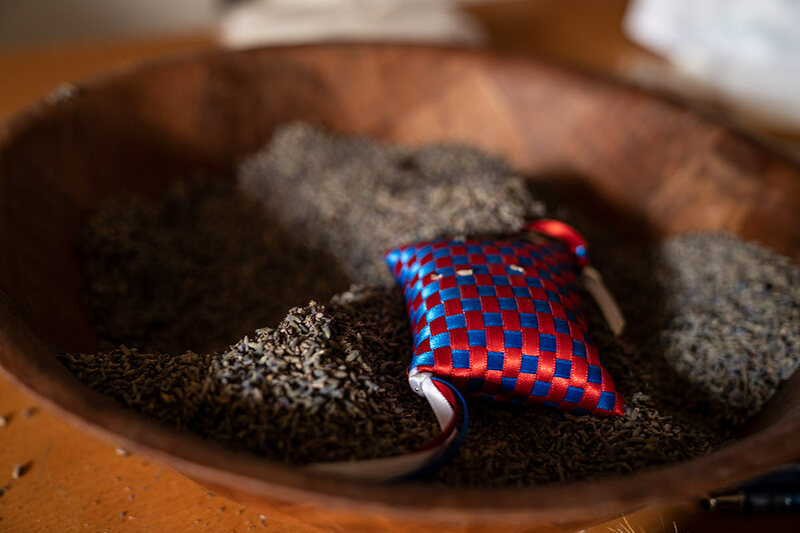 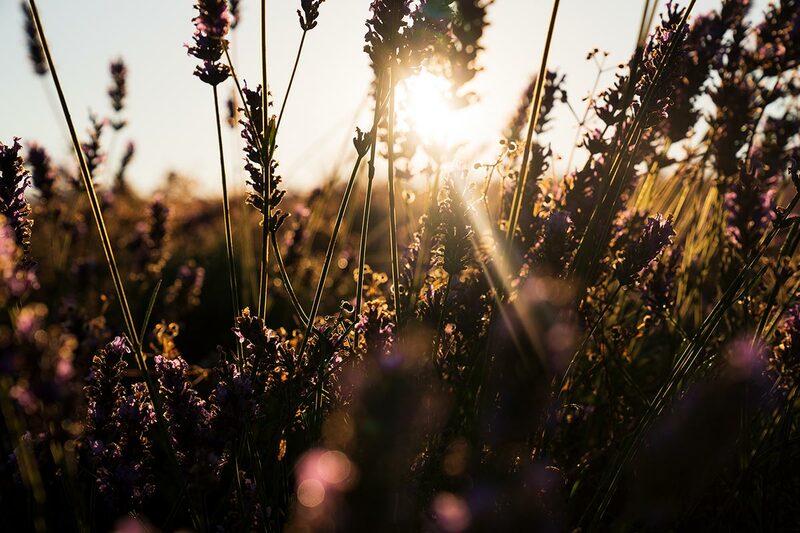 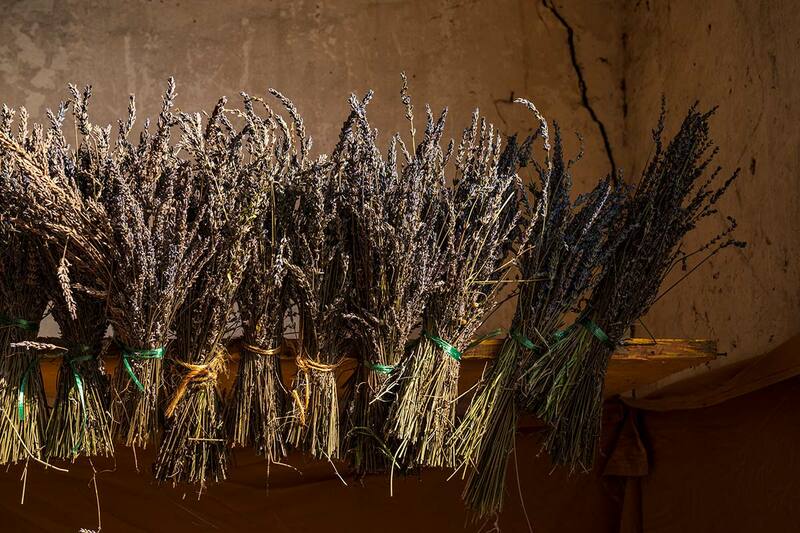 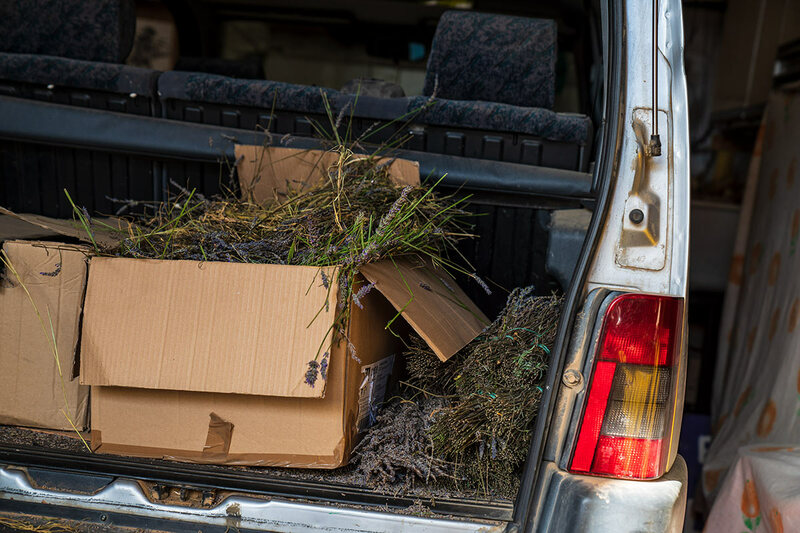 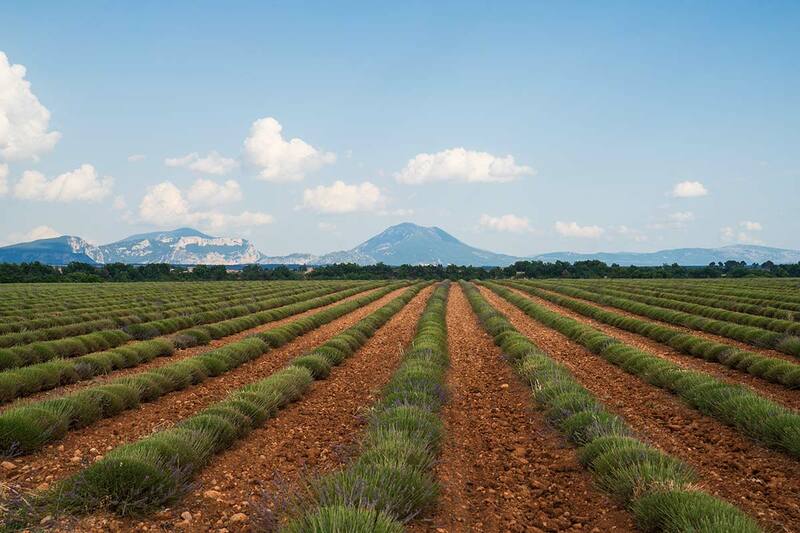 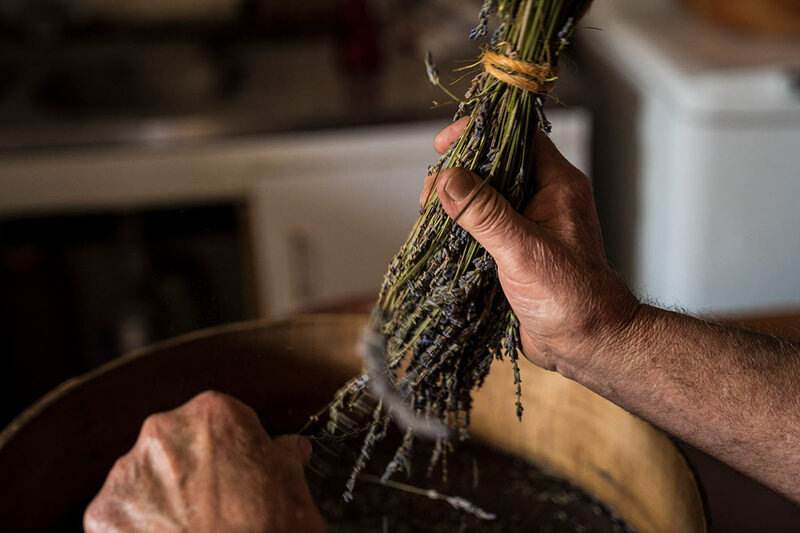 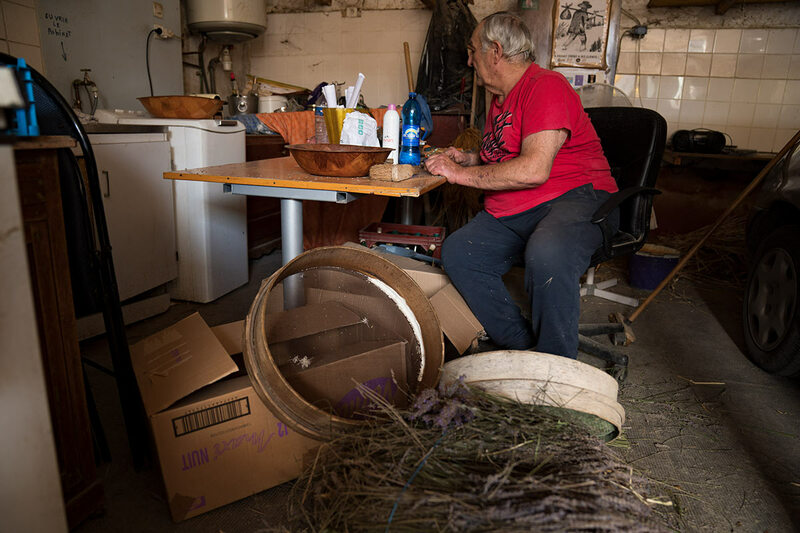 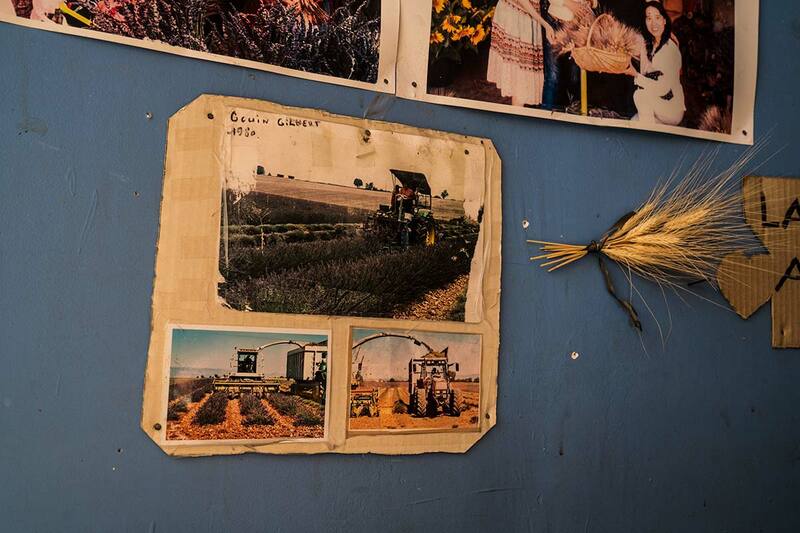 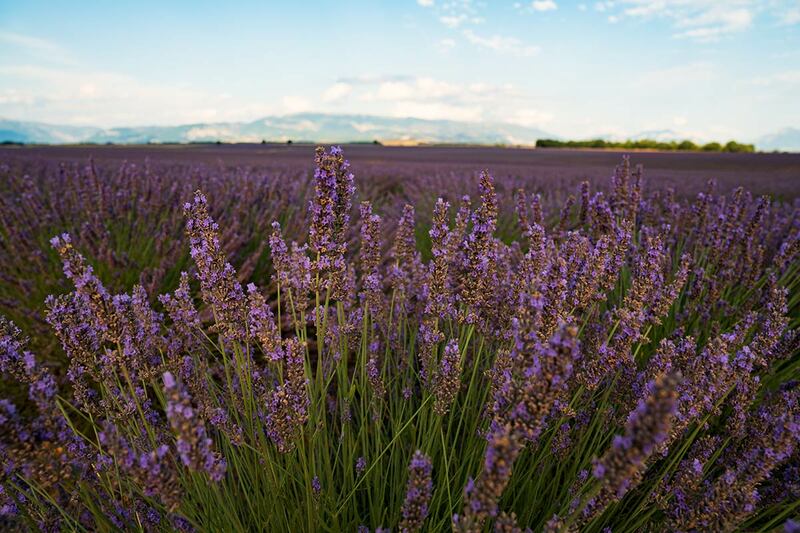 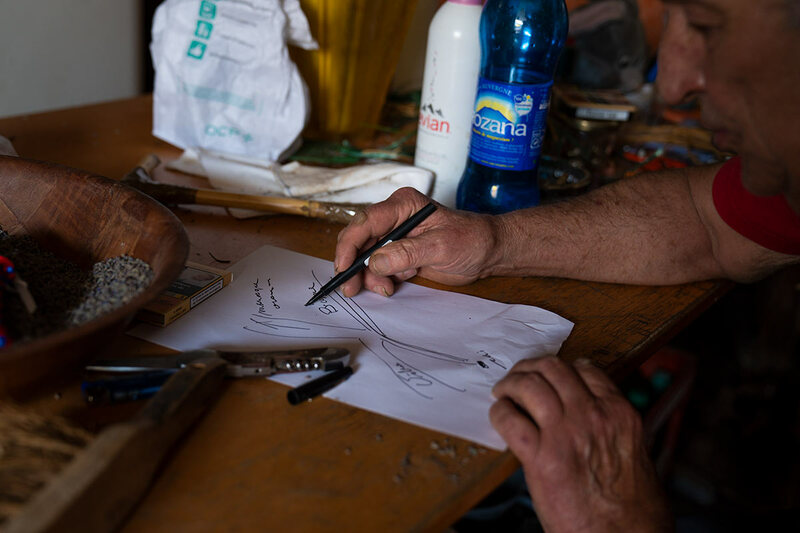 Merci Gilbert – no one knows where to find the most beautiful lavender fields better than a local.